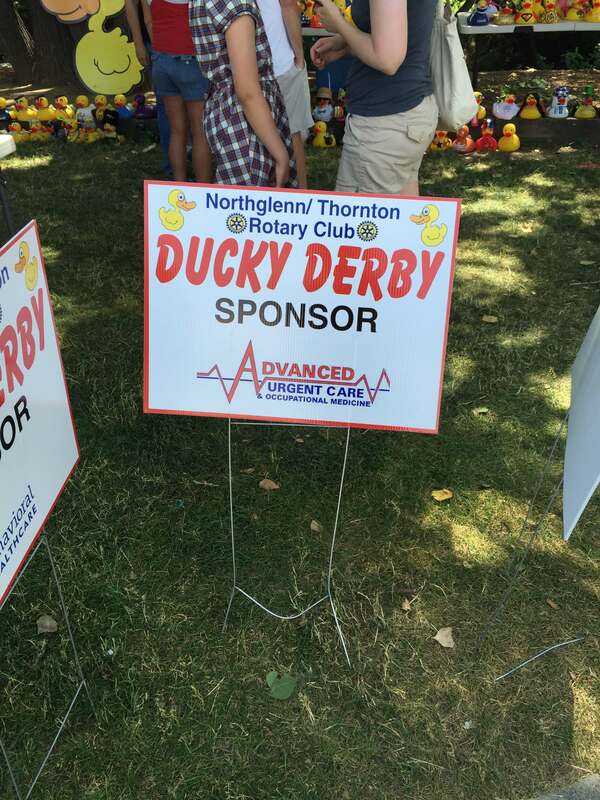 The Northglenn Thornton Rotary Club hosted its annual Ducky Derby on July 4th at the E.B. Rains Jr. Memorial Park in Northglenn, CO. Local businesses purchase large ducks to be decorated in advance, and then raced on the day of the event. Funds raised from the event are used for local charity projects. Although our Batman duck didn’t do too well in the race, he got a lot of attention and was one of the top contenders for the “Best Decorated Duck”.